On this 70th anniversary of the Universal Declaration of Human Rights (UDHR), the United Nations International Day for Older Persons (UNIDOP) celebrates the importance of this Declaration, and reaffirms the commitment to promoting the full and equal enjoyment of all human rights and fundamental freedoms by older persons. Almost 40 years following the adoption of UDHR, issues of human rights for older persons were taken up in 1991 in the formulation of the United Nations Principles for Older Persons, which provided guidance in the areas of independence, participation, care, self-fulfillment and dignity. A decade later, the Madrid International Plan of Action on Ageing (MIPAA), adopted in 2002, represented the first time Governments agreed to link questions of ageing to other frameworks for social and economic development and human rights. The interdependence between older persons’ social integration and the full enjoyment of their human rights cannot be ignored, as the degree to which older persons are socially integrated will directly affect their dignity and quality of life. 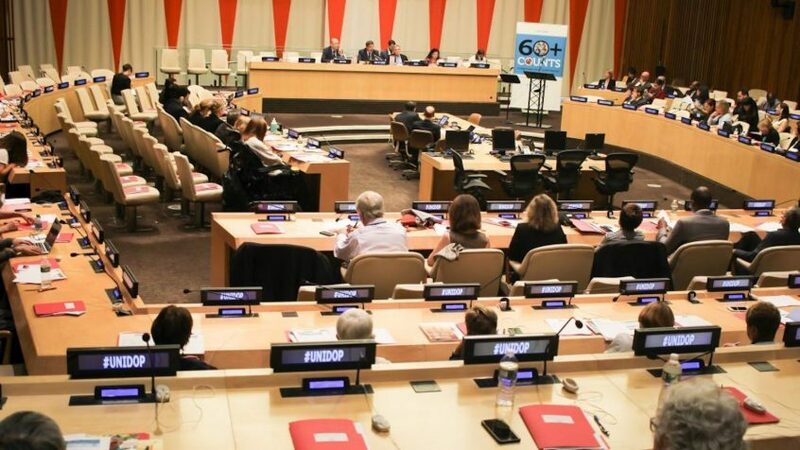 The 2018 theme of UNIDOP is “Celebrating Older Human Rights Champions“. What better way to celebrate this Day than by celebrating the older people around the world who dedicate their lives to championing human rights? Learn more about the 2018 UNIDOP.